Rev. 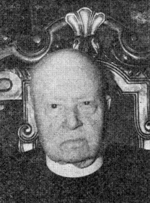 Auguste J. Tardif, CSV, who spent many years of his priestly life in the Chicago and Joliet areas, died in Chicoutimi, Quebec, Canada, on June 24, 1952 following a heart attack. He had traveled to Canada to attend the ordination and first Mass of a grand nephew. Fr. Tardif was in the 71st year of religious life and the 52nd year of priesthood when he died. He was 87. Fr. Tardif was born April 29, 1865 in Canada, He entered the Clerics of St. Viator in Montreal at the age of 16 and pronounced his first vows on July 31, 1883. In November of 1895, he joined the Province of Chicago and was ordained to the priesthood on June 14, 1901. He served at St. George Church in St. George, IL, as well as St. Viator Normal Institute in Chicago and St. Mary’s Church in Beaverville, IL, before becoming pastor of churches in Groton, Andover and Plankinton, SD. Fr. 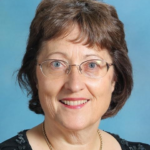 Tardif returned to Chicago to serve as a chaplain at the Municipal Tuberculosis Sanitarium, the Fournier Institute in Lemont, IL and at Holy Child High School in Waukegan, IL. He retired to the provincial house on Sheridan Road after serving his last assignment, as chaplain at Nazareth Academy in La Grange, IL. Fr. Tardif’s funeral service and burial took place in Joliette, Quebec, where more than 70 years earlier, Fr. Tardif had begun his life as a religious. Rev. Michael Ranahan, CSV, provincial procurator of Chicago, represented the Province and sang the funeral Mass. Fr. Tardif was survived by a sister, Sr. M. Nathaniel, FSCP and a grand nephew, the Rev. Emile Tardif, OMI.